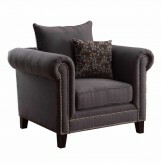 Not only is the Roy Tufted Chair luxuriously comfortable to sit in, but it was built to last. 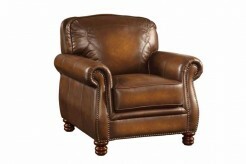 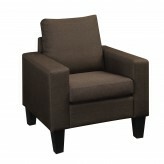 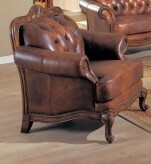 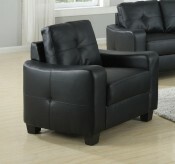 Sit on top of ultra plush feather down blend on top of pocketed coil seating, wrapped in a brown pull-up bonded leather. 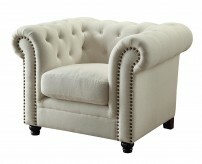 Adorned with button tufted and rolled arms and back, nailhead trim, folded seams without stitches, solid wood legs and frame. 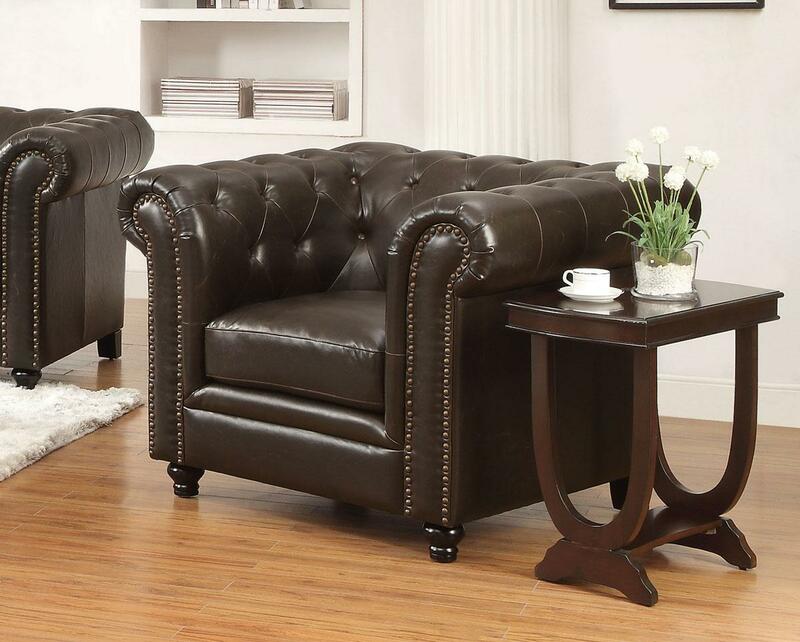 The Roy Collection is a timeless classic. 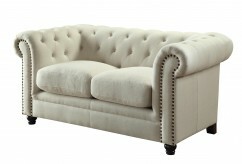 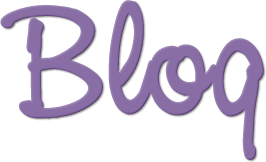 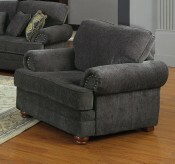 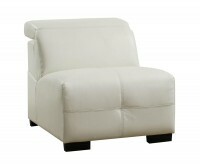 Furniture Nation is proud to offer the Roy Tufted Chair online. 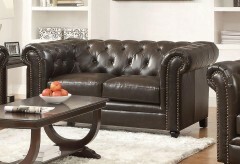 We serve customers across the DFW region including Arlington, Weatherford, Carrollton and many more. 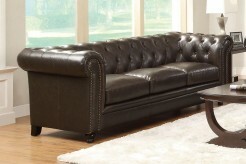 L45" x D37.5" x H33.5"